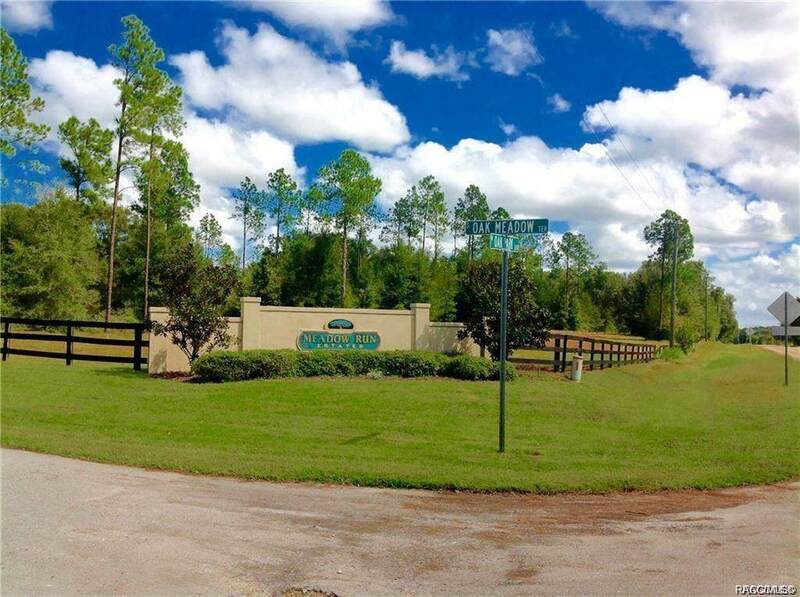 Meadow Run Estates .... An exclusive gated enclave of 6 estate residential ranch lots from 11.31 to 12.22 acres each with easy access from Suncoast Parkway. Surrounded by the state forest, high elevations, gorgeous trees, paved private roads, lighted streets, underground utilities, and 2 cul-de-sacs are some of the features of the community. 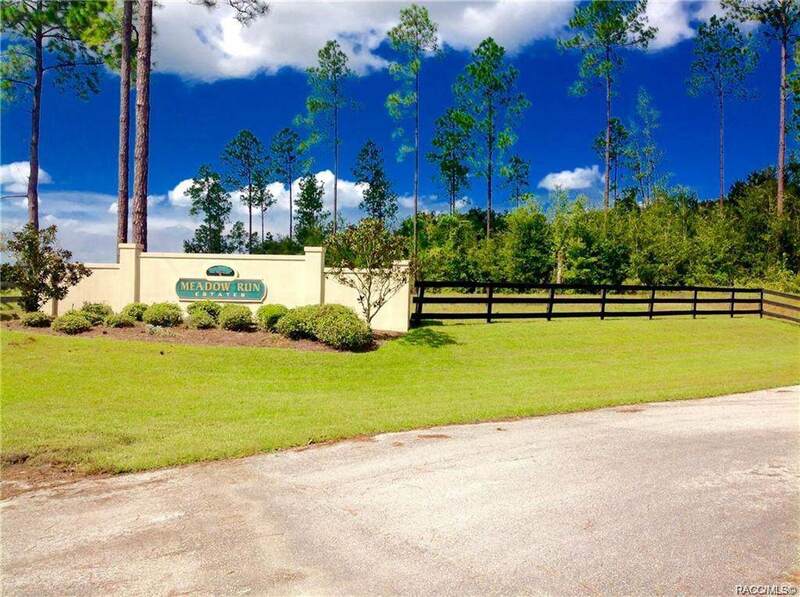 Build your exclusive ranch in this upscale community with your choice of homesites at $179,900 each. Minimum 2500 square feet living area (see deed restrictions). Cross Street Name Oak Park Blvd.